The o malandro was a criminal who tended to carry a barber’s straight razor known as the navalha, which was easily hidden but could be used with deadly effect. 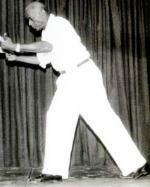 Their were many famous gangsters during this part of capoeira history, Manduca de Praia is just one example. 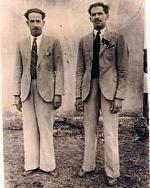 This notorious and legendary figure was in many ways a typical o malandro. He was known for his sense of style and elegance, and is thought to have been wanted for no less than twenty-seven murder charges. 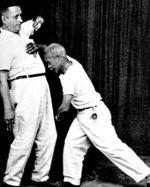 Capoeira history is one of the most intriguing of any world martial arts. 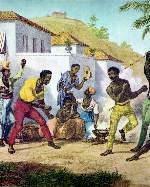 Its exact origins are unknown, however it is known that it was developed by African slaves who were taken to Brazil in the 16th century by Portuguese conquistadors. The captives knew that to learn martial arts openly would have meant severe punishment, so the deadly capoeira moves were hidden in dance. 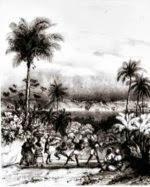 In the 19th century, the best martial arts experts in the country were students of capoeira. Brazil saw a legal end to slavery at the same time as the United States, 1888. This began a difficult transitional period for former slaves, who now had to provide basics like food and shelter for themselves. The country saw mass unemployment overnight which inevitably led to a rise in the criminal underworld. For the talented capoeira fighter, this provided new opportunities and as leaders of gangs, many were suddenly able to earn good money and command respect within the community. The authorities soon made the link between the practice of capoeira and the criminal underworld. The art was banned and severe punishments were dished out to those caught practicing it. A capoeirista could have his Achilles tendons sliced if caught so many would use a street name to hide their real identities, making capture and prosecution more difficult for the authorities. 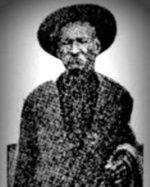 The ‘o malandro’ was an archetype figure in the criminal underworld of Brazil in the late 19th - early 20th century who, as well as being an expert capoeira fighter, was a master con-artist. The o malandro’s contribution to martial arts history in Brazil cannot be overstated and his fighting skill, cunning and sharp mind awarded him respect and fear alike. For years, those who wanted to learn martial arts in Brazil were hunted down until the art was only being practiced in Rio de Janeiro, Recife and Salvador. It seemed that capoeira was set to become no more than a set of stories relegated to the history of fighting until in the early years of the 20th century, Manoel dos Reis Machado, more commonly known as Mestre Bimba, legitimized the art. One of the greatest capoeirista in the martial art’s history, Mestre Bimba added a code of ethics and introducing it to people outside the criminal underworld, selling it as a part of Brazil’s cultural heritage and highlighting the more positive aspects of capoeira history. Capoeira: From Crime to Culture. [Internet]. 2012. Library of Congress. 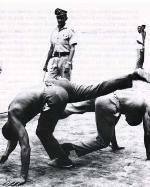 Available from: http://blogs.loc.gov/law/2012/10/capoeira-from-crime-to-culture/ [Accessed 9 Nov 2012]. O Malandro and Crime. [Internet]. 2012. Rensselaer Polytechnic Institute. Available from: http://capoeira.union.rpi.edu/history.php?chapter=Malandro [Accessed 9 Nov 2012]. The Prohibition of Capoeira. [Internet]. 2011. Live Capoeira. Available from: http://voices.yahoo.com/the-prohibition-capoeira-8223787.html?cat=37 [Accessed 9 Nov 2012].